Each of them composed of four bones. The mechanics of the hand is quite specific. The dysfunction of one bone automatically affects the dynamics of the other bones. Radial-wrist joint- it is an ellipsoidal joint formed by the combination of the radial bone with the proximal row of carpal bones. It is reinforced by a radial-wrist ligament. 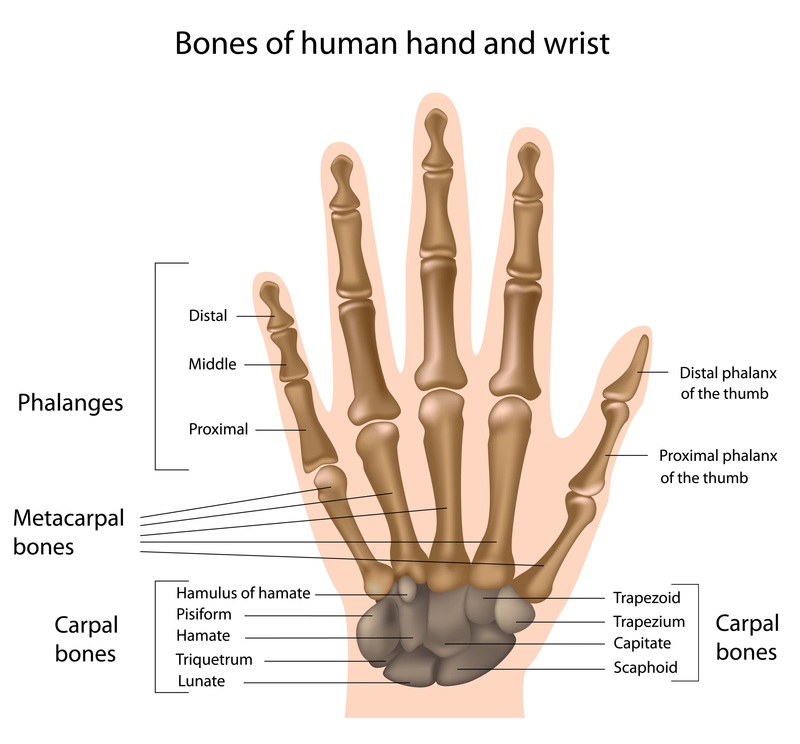 The mid-carpal joint serves as the connection between the carpal bones. The movements permitted with this joint are the palmar and dorsum flexion, radial and ulnar abduction and adduction. The carpometacarpal and intermetacarpal joints are the plane joints of minimal mobility. The thumb joint is an exception, since it permits the movement of abduction and adduction, as well as deviation, opposition, flexion , extension and hyperextension. The finger joints (interphalengeal joints) belong to the group of spheroidal (ball and socket) joints which do not permit the rotation movement. Hands consist of several ligaments that are responsible for specific movements that we can perform. The collateral radius ligament of the wrist - is relatively short, but not too strong. Ulnar collateral ligament of the wrist - which is longer, but much weaker than the radial wrist ligament. Palmar radial wrist ligament - broad and very strong. The nodes in the proximal interphalangeal joints area are called Bouchard's nodes. The finger joint dislocations mostly involve the dislocations in the proximal interphalangeal joints, caused by the injuries which lead to the joint hyperthropy. The chronic rheumatic arthritis usually develops symmetrically in the wrists and joints of the hand, including the proximal interphalangeal joints. The disease is marked by pain, inflammation, deformity and the impairment of movement, followed by degradation of the joints or even the joints atrophy. The disease belongs to the group of autoimmune disorders and it mostly affects people at the age of 30—40 or older. The occurrence of the disease if fourfold higher among women than men. Dupuytren's contracture is the disease marked by the fixed contracture of the fingers in the flexed position, accompanied by the occurrence of the characteristic nodes in the palmar fascia. The disease is prevalent among men and it is most likely to affect the IV and V finger. It is marked by the fibrous nodes in the palmar fascia and mainly affects elderly people. It has genetic etiology. 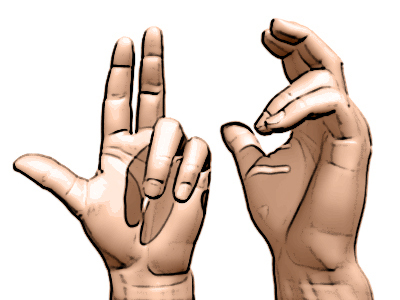 Can the hand joints be exercised? You can, and it's very easy. It is often recommended for example to exercise with a ball which is based on kneading it with both hands, transferring it between fingers or crushing in one hand. Another exercise - put your hand and forearm on the table, not moving your wrist from the table move your fingers toward the wrist. Move your fingers forward to make them straight. When bending, the hand should forma distinctive peak. Repeat this exercise at least 20 times for each hand. 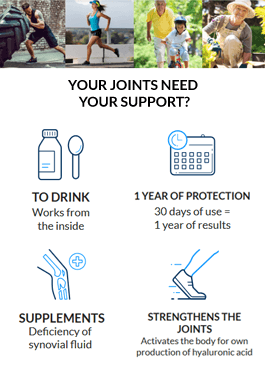 Regular exercise, especially when you've been diagnosed with rheumatoid arthritis or degeneration contribute to significant improvements in health. Without movement, the muscles weaken and produce contracture and the pain intensifies.